Home » Unlabelled » How to Unlock iPhone 4, 4S using SAM Tool After Jailbreak and Without Activation Tickets! I thought that the saga with IMSI unlocking was over and covered with dust. But obviously that's not the end. Here are instructions that will help you to unlock for iPhone 4 , 4s with SAM jailbreak tweak. 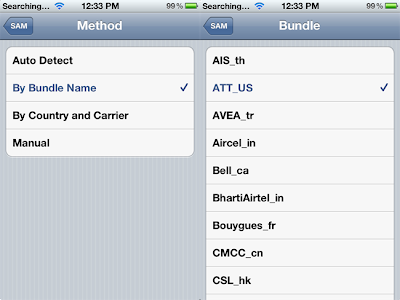 This method works on any baseband and iOS that can be jailbroken. When hackers will release jailbreak for iOS 7 you will be able to follow these steps below and unlock iPhone 4S / 4 running iOS 7. if you already running iOS 7 you can unlock it using R-SIM 9 / 8. Attention: This is unofficial unlocking method and i can't guarantee that it will work on your iPhone. But don't worry because you can always legally unlock iPhone contacting the carrier or using legit online service that offers IMEI unlocking. After the jailbreak go to Cydia -> Manage -> Sources -> Edit -> Add, write http://repo.bingner.com and click add. Go to Search and write SAM, find it and install Subscriber Artificial Module (SAM). Start the SAM app and insert the SIM-card you want to use. Go to Utilities, select De-Activate iPhone, then More Information -> ActivationState where should be written Unactivated. 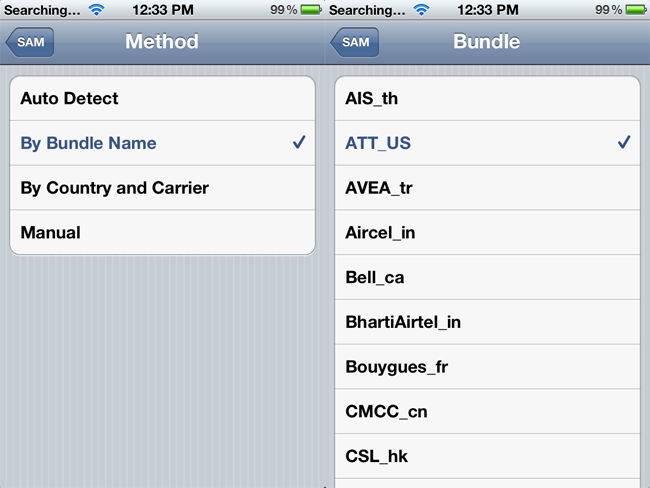 In the Method select By Bundle Name, in a Bundle, select the operator, to which your iPhone is locked ( for example ATT_US). 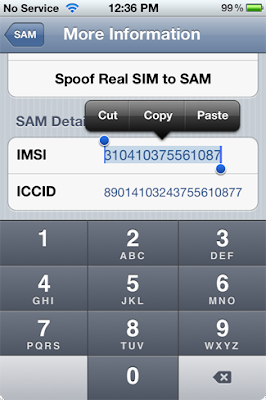 Go to More Information, copy or rewrite the IMSI from SAM Details, then press Spoof Real SIM to SAM. Exit to the main menu and change the Method to Manual (in my case it was changed automatically), and IMSI is replaced by the one that you saved in the Step 5 ( for AT & T , I used 310,410,375,561,087 ) . Connect your iPhone to the computer and let iTunes do the activation. Then double-click on the Phone Number and make sure that the ICCID is the same as on your SIM-card. If not, you have to start over from Step 1. Turn off the phone and close iTunes. Connect your phone to your computer and open iTunes, you should get an error message that your phone can not be activated. This is normal. Just close iTunes and open it again. iPhone will find an operator for a minute and you will get a signal. Congratulations, your iPhone is now unlocked! Note. Push- notifications may stop working after the procedure, but it can be easily recovered from the utility Clear push in the SAM app and then connect to iTunes. Your phone will work fine with this SIM- card. The phone can be rebooted and connected to iTunes freely without losing unlock until you will update it to the newer iOS.